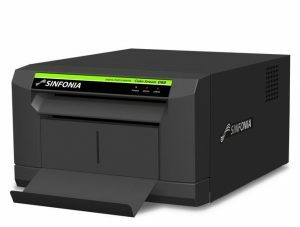 The Sinfonia CS2 photo printer is perfect for high speed in-store applications or event photography that does not require the high volume needed to justify an expensive mini printing lab. Fast, high quality prints made easy and affordable for all applications-professional studios, event photography, kiosk, sport/team photography, traveling portrait/baby photography, insurance and law enforcement. 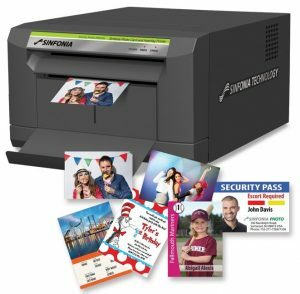 The Sinfonia printer’s compact design enables you to use this printer for your photobooth, ID system, mini kiosk, event / photo, amusement and theme park photo, etc. 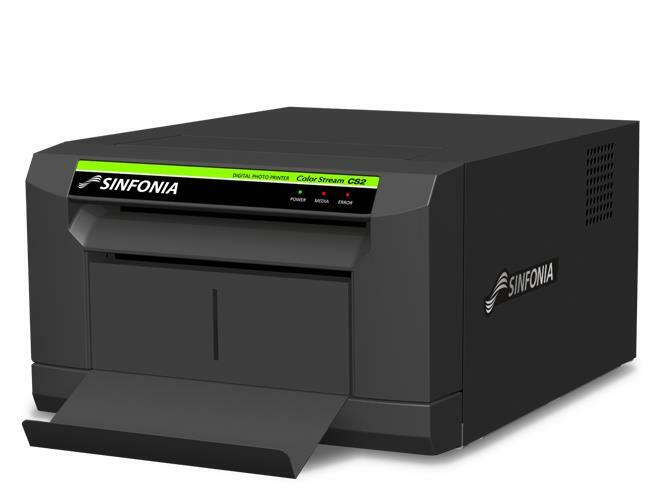 The Sinfonia CS2 printer will produce a 4″x6″ print in under 11 seconds. Designed for portability, the Sinfonia CS2 is compact and lightweight. Measuring 11″ wide, 13″ in depth and 7″ in height, the CS2 weighs in at only 22 lbs. Perfect for mobile events or photo booths.